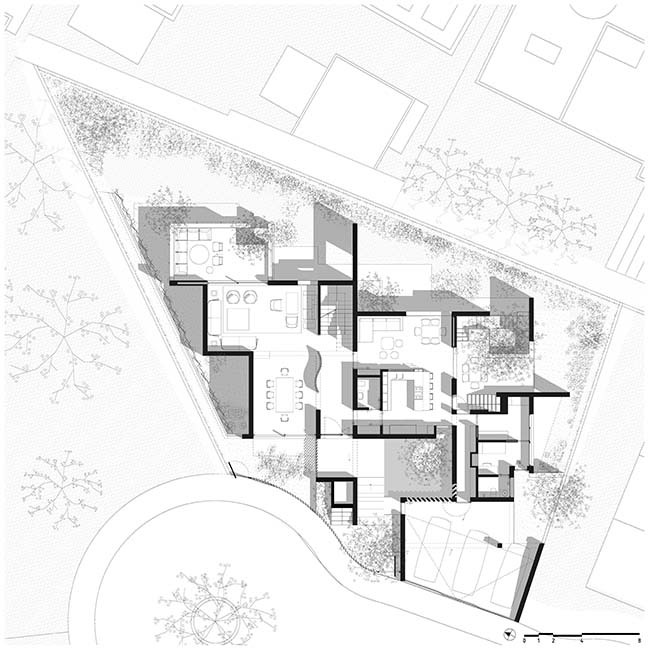 Designed by Moneo Brock. 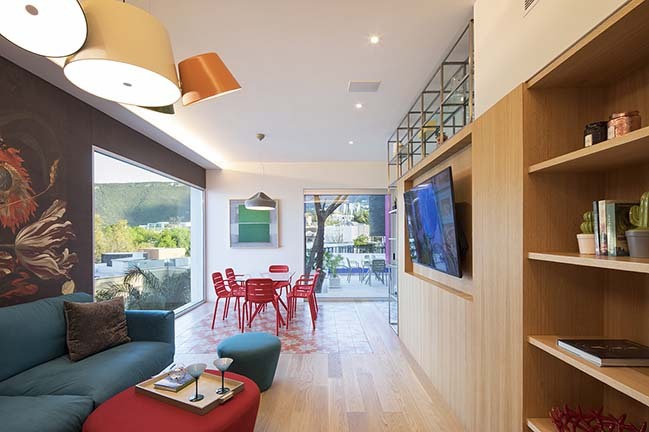 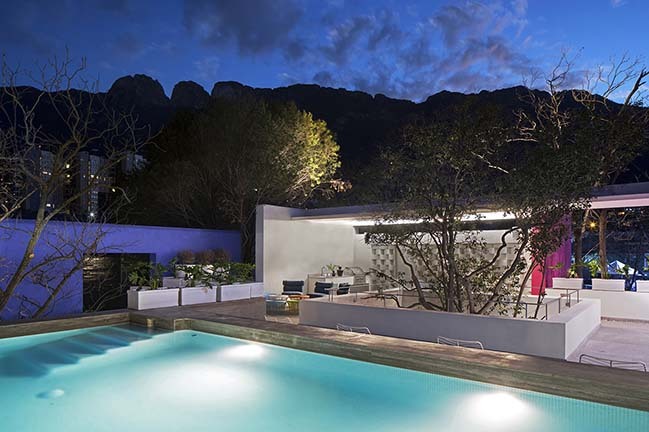 The Casa TEC 205 is located very close to the Chipinque ecological park in Monterrey, an urban landscape dominated by the Sierra Madre. 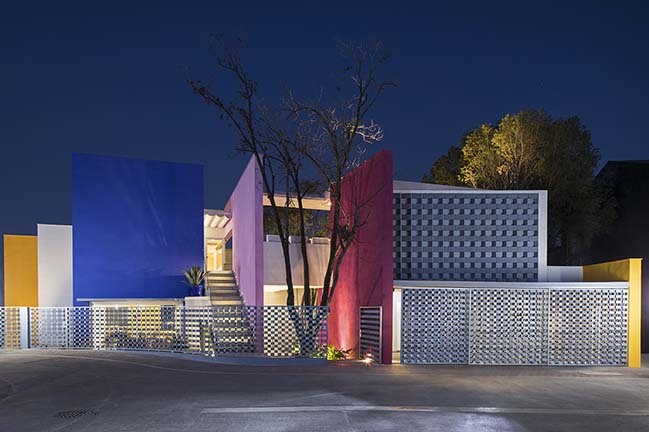 This house is the first prize in a raffle organized every year by the Technological University of Monterrey to raise funds for its students. 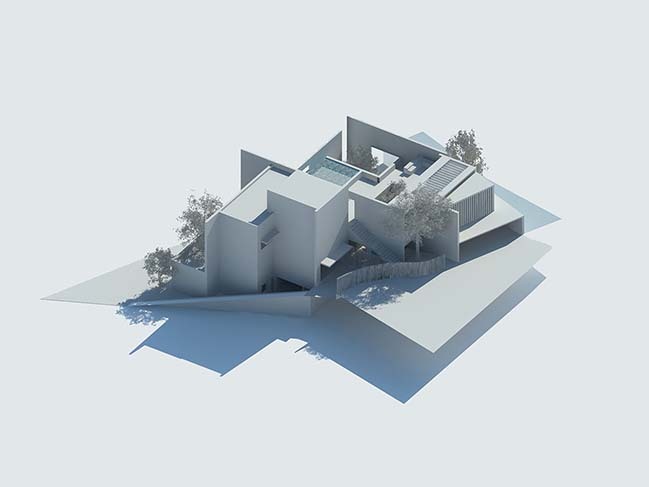 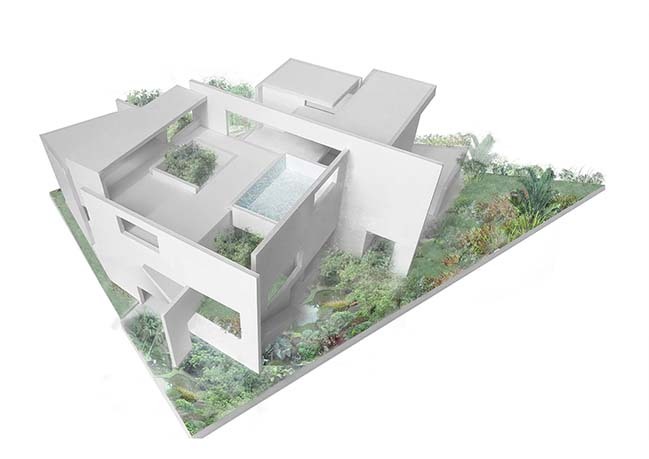 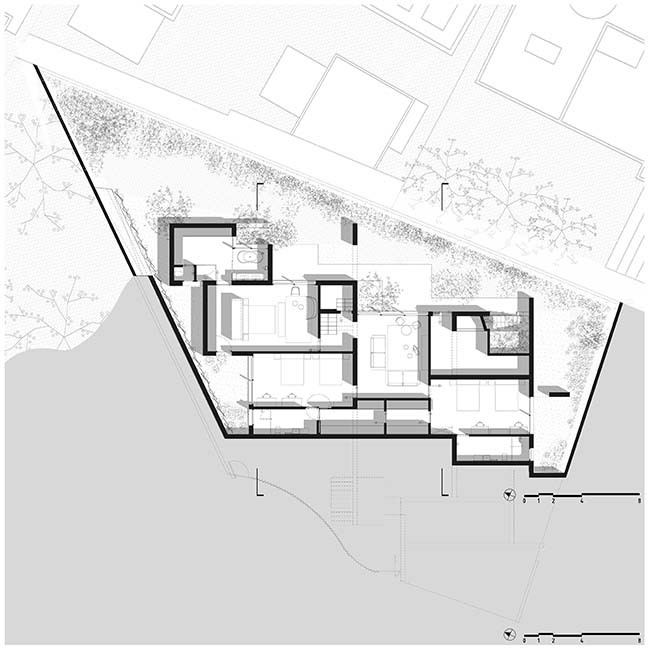 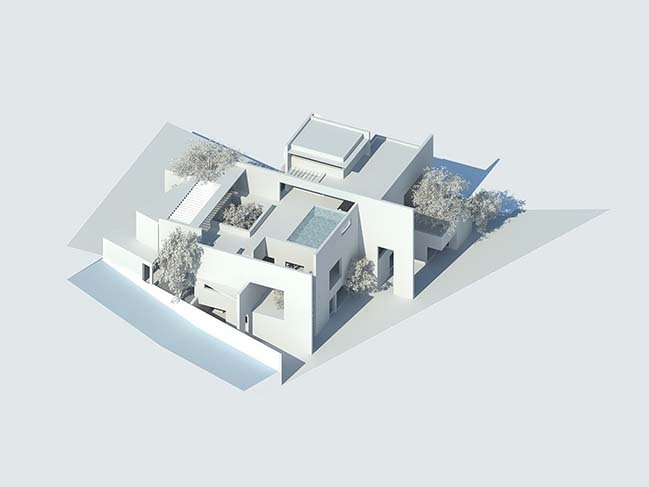 From the architect: The house design preserves four large extant trees on the site. 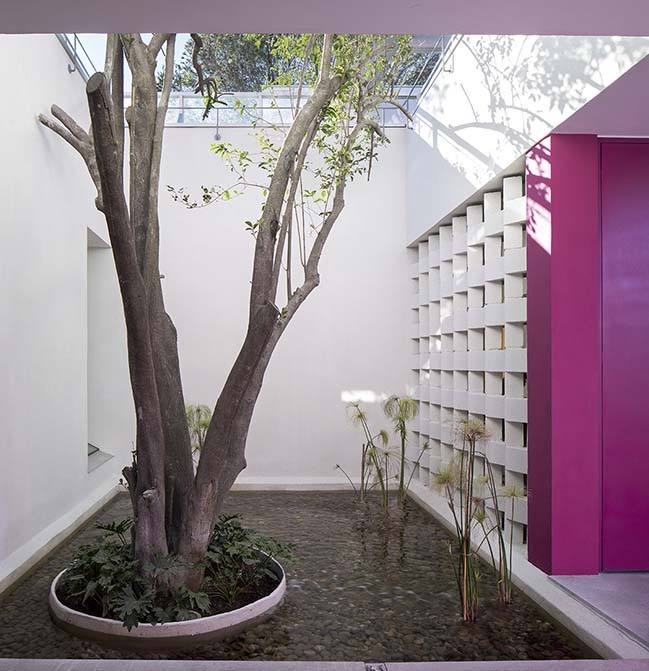 Now embedded in the house, the trees characterize the spaces they inhabit. 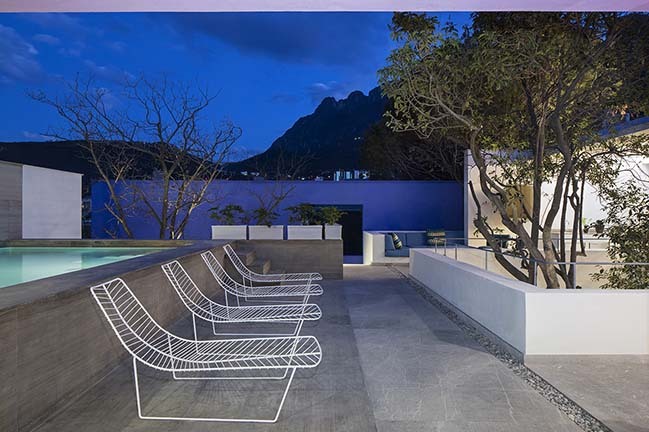 Major interior spaces enjoy direct connections to their own corresponding outdoor spaces, each associated with a different landscape, a unique character and quality of light. 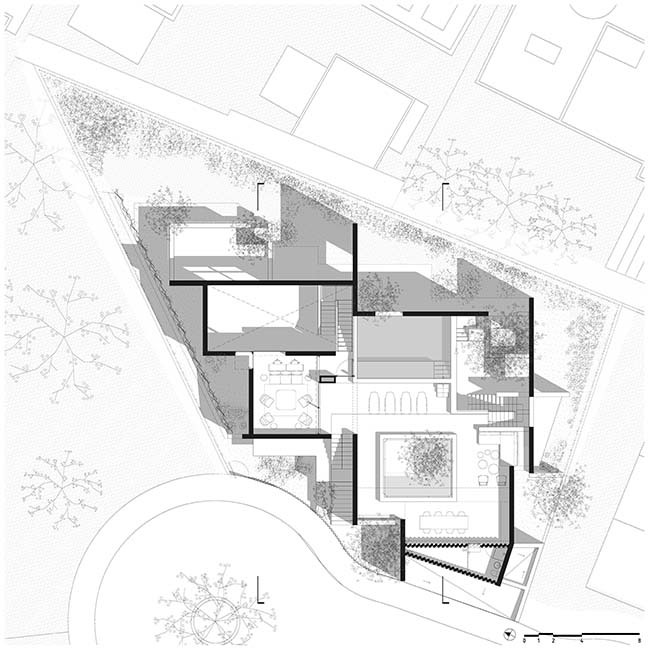 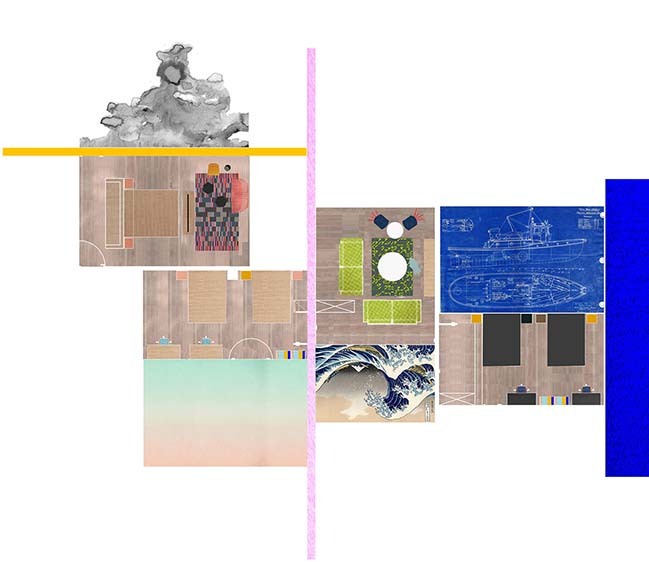 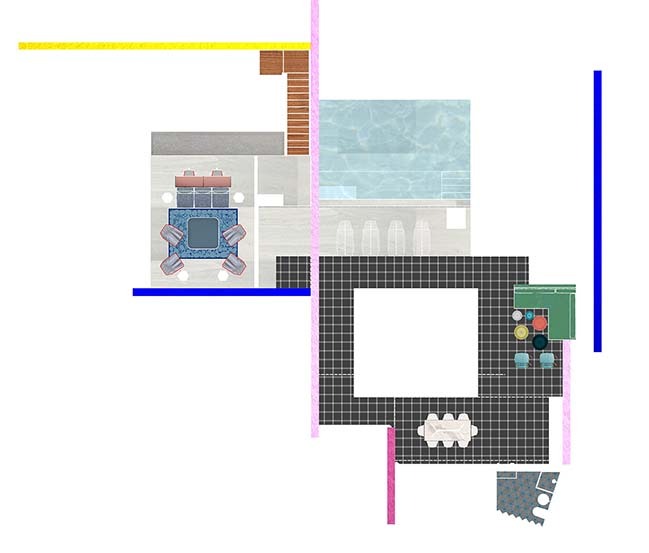 In order to gather these outdoor spaces into the project, a series of large wall planes that intersect in the house’s center project into the surrounding outdoor space, moving continuously between the interior and the exterior of the house. 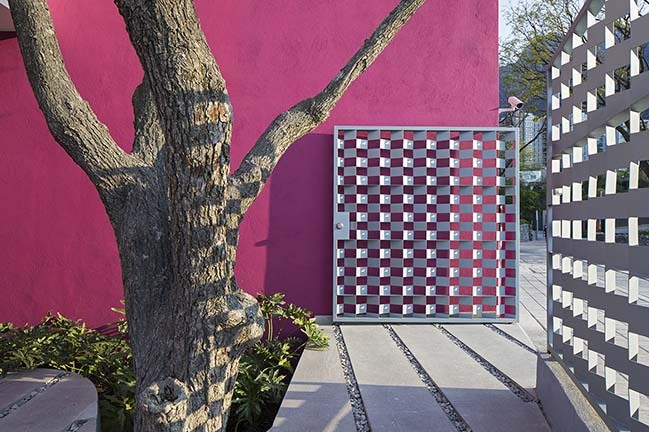 This constructivist assembly allows the walls to be read as independent, plastic elements, effectively blurring the distinction between inside and outside. 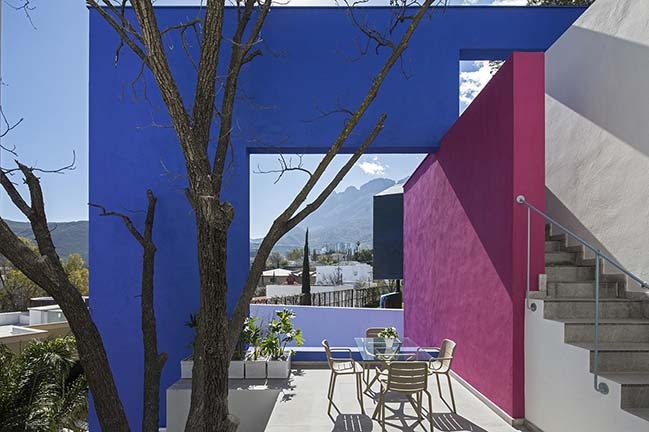 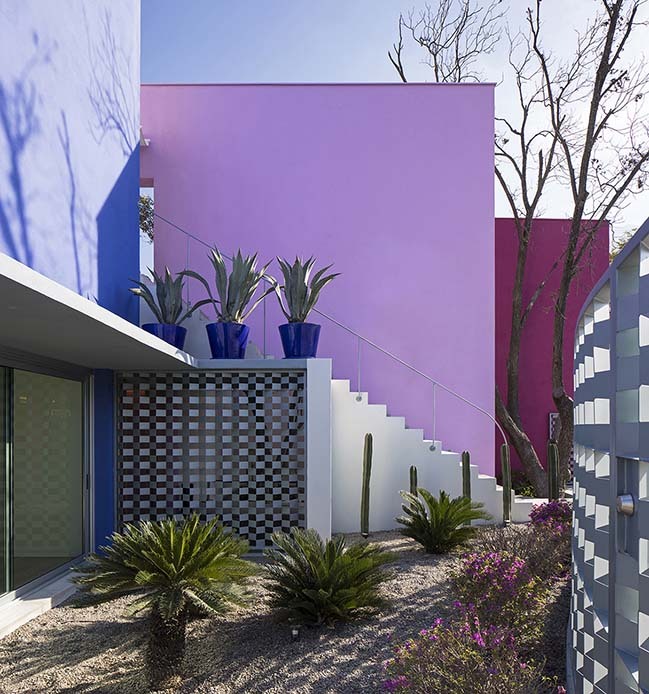 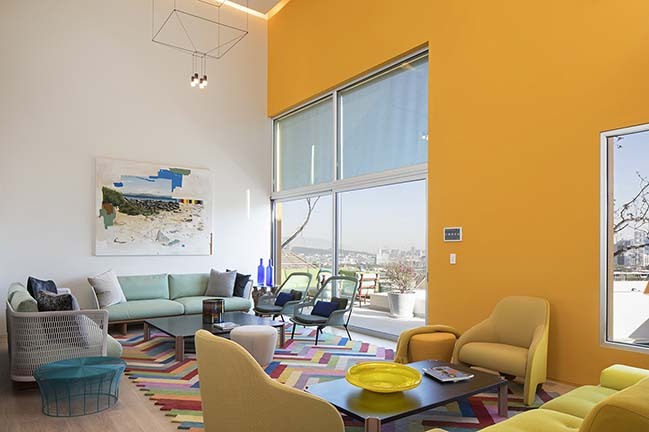 We have always admired the use of color in Mexico, from its vernacular architecture to that of the masters Luis Barragán and Ricardo Legorreta. 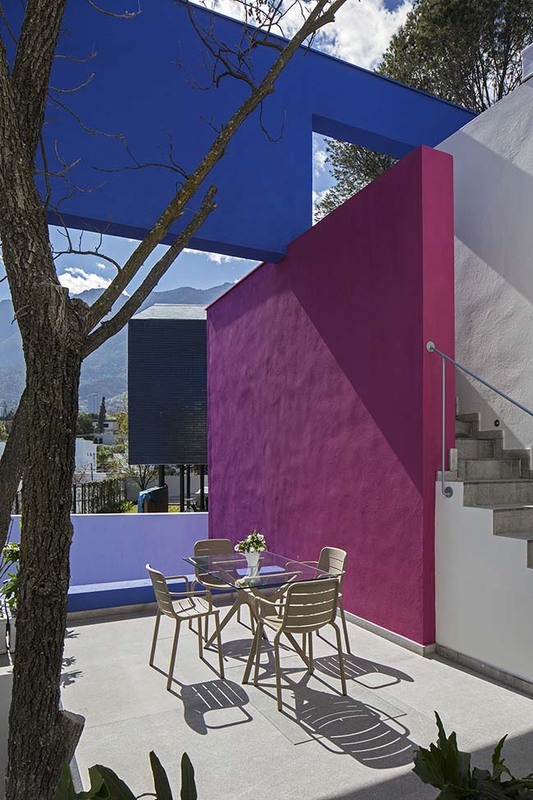 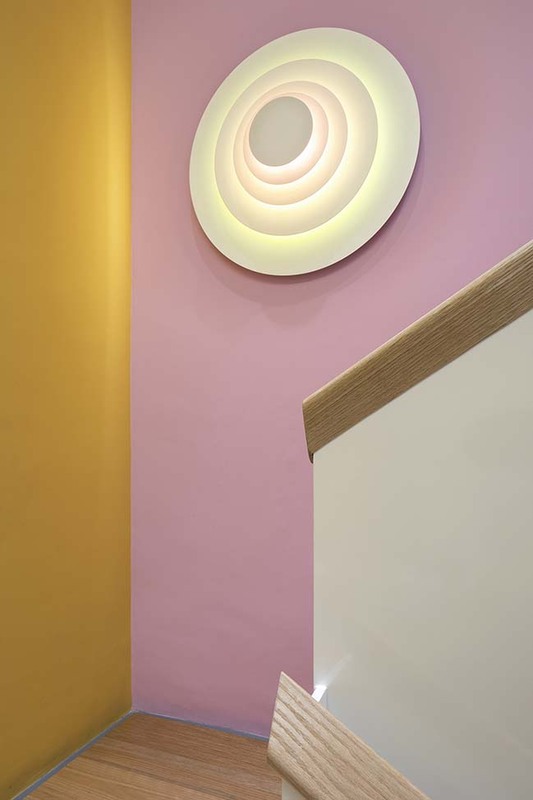 We have applied strong colors to these walls not only because we often use color in our work, but clearly as recognition and homage to this great heritage as well. 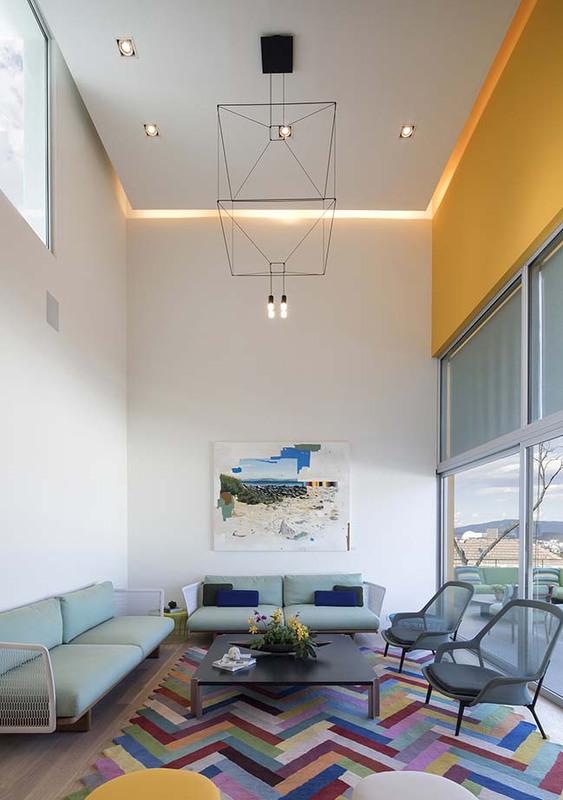 Because the land slopes steeply down from the entry level we were able to invert the conventional arrangement, placing the bedroom floor below the entry floor instead of above. 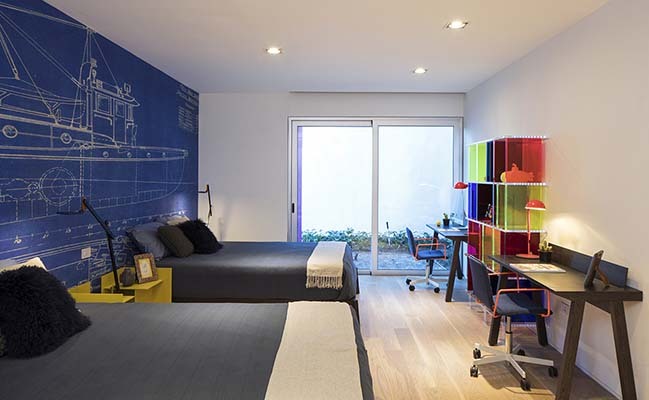 The bedrooms take advantage of the earth’s thermal mass, bringing natural freshness to the house and lowering cooling loads during the many months of high temperatures in Monterrey. 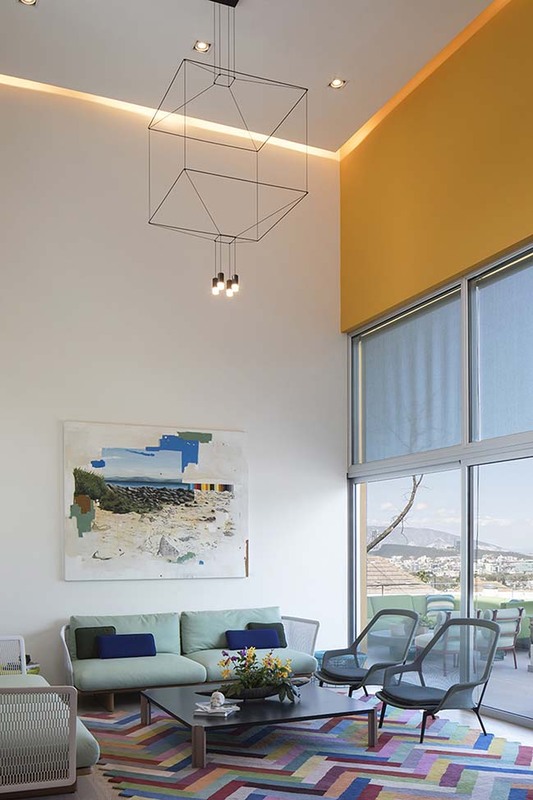 This arrangement allows the more public floor to enjoy the better views that it’s higher position affords, and provides direct access to the garden for all the bedrooms. 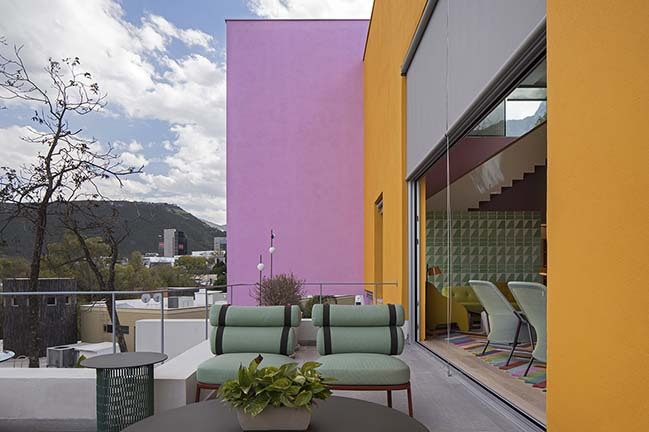 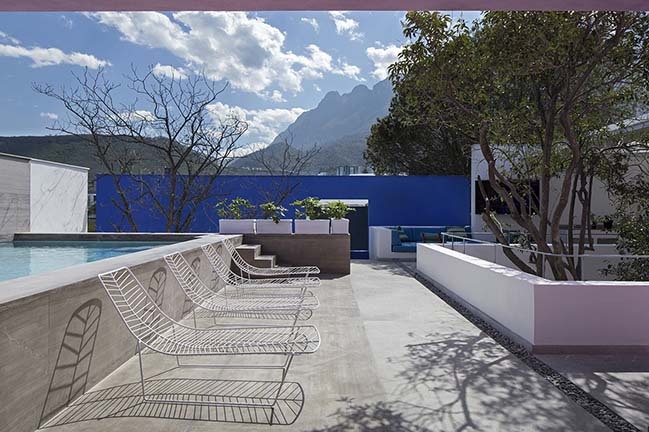 The roof top is conceived as a large exterior room, accessible directly from the street entry, delimited by walls and windows that frame the fantastic views of the Monterrey mountains. 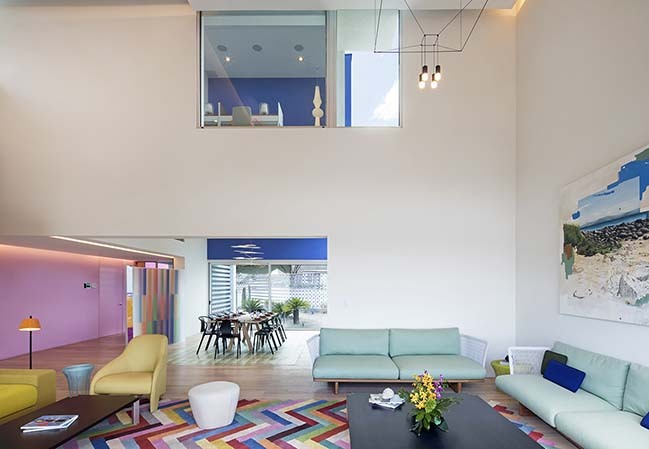 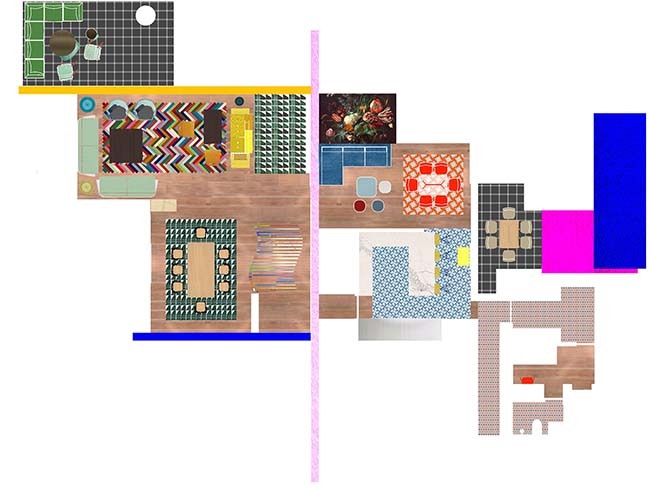 In the interior design the color has been the main character. 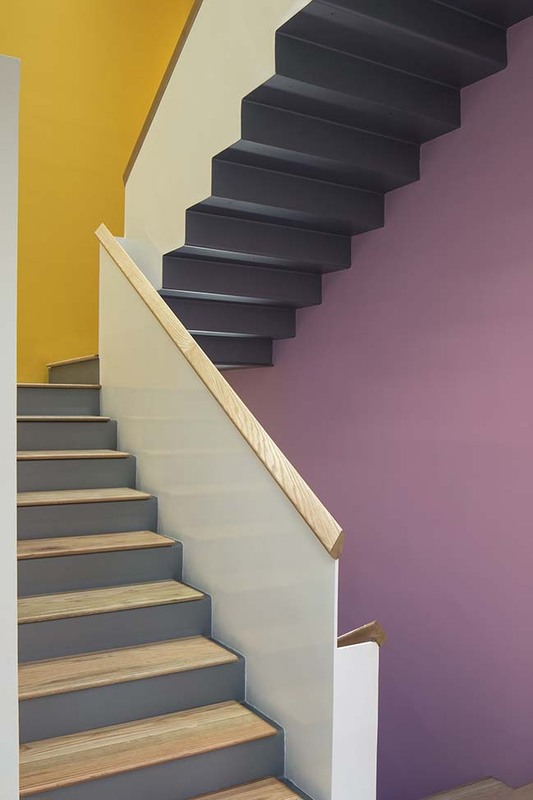 The pigments applied to walls run inside and outside, emphasizing their autonomy and determining the character of each space. 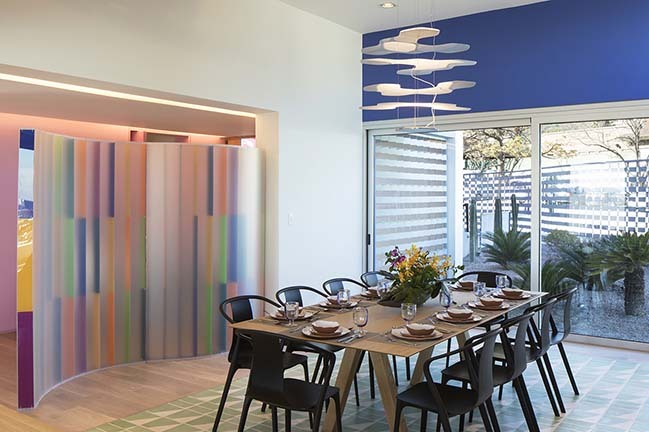 In some rooms, we have used wallpapers with vibrant murals to provide color and design. 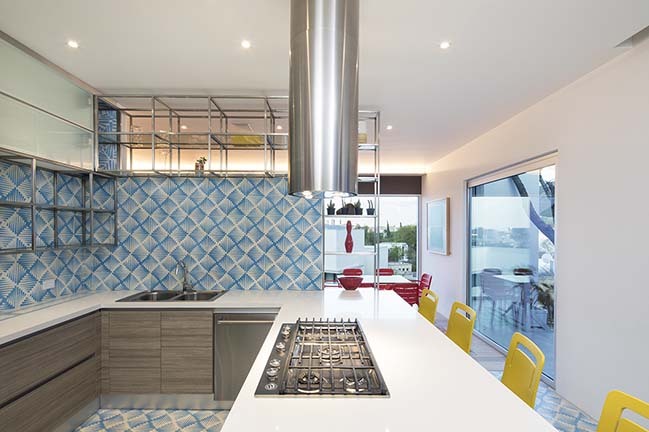 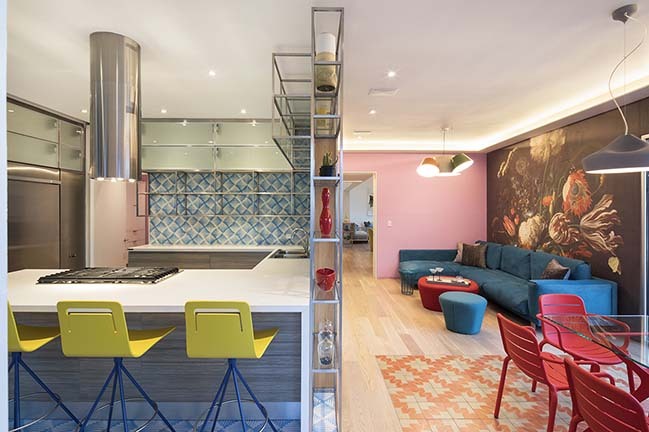 In others we have placed Mexican tiles with geometric patterns and bright colors. 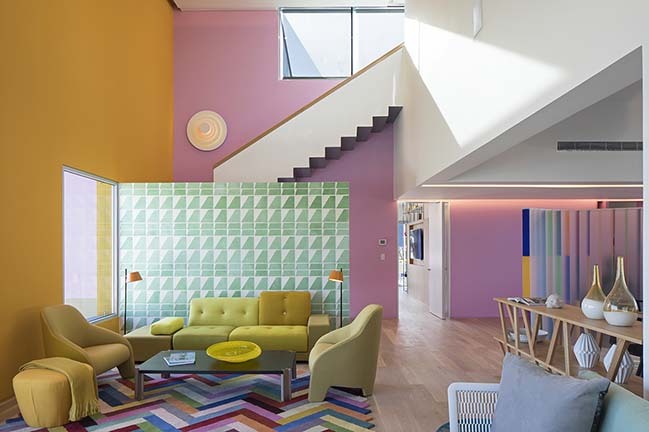 Also designed by Moneo Brock are the colorful, geometric carpets and the “PlexiJazz” screen of translucent acrylic and colored vinyl, which receives visitors in the entrance hall and establishes the general character of the interior design.